Manager of the Month - Warren Gibbs. 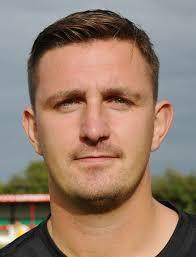 Warren Gibbs named as Huws Gray Cymru Alliance Manager of the Month for January. After an unbeaten January which saw Borough steadily climbing the table, the club is delighted to have been informed that Warrren Gibbs has been named as Manager of the Month.  Next Home Fixture - Bangor City FC Conwy Borough FC v Bangor City FC - Friday 15 February at Y Morfa. KO 1930pm. Friendly Fixture - Kinmel Bay FC  Borough v Kinmel Bay FC - Wednesday 6 February at Y Morfa (KO 1915pm).